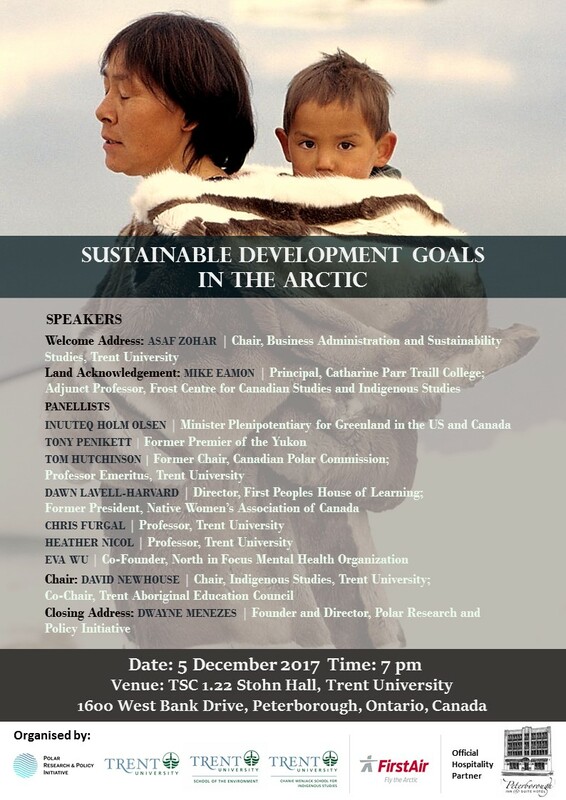 On 5 December 2017, Polar Research and Policy Initiative (UK), together with the School of the Environment and the Chanie Wenjack School for Indigenous Studies at Trent University, co-hosted a panel discussion on ‘Sustainable Development Goals (SDGs) in the Arctic’ at Trent University in Peterborough, Ontario. Our Official Airline Partner was FirstAir and our Official Hospitality Partner was Peterborough Inn & Suites Hotel. 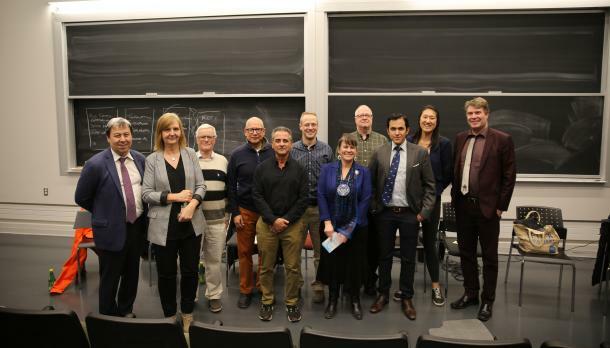 The session focused on regional governance mechanisms in the North, featured as the 3rd High-Level Dialogue in our ‘SDGs in the Arctic’ Dialogue Series and was the first of the high-level dialogues to be held in Canada.